Which of the following John Woo-production do you like best? Most fans may know John Woo from his excellent works like The Killer and Hard Boiled but John has also earned a name as a producer for several Hong Kong and US films which are not directed by the action maestro himself. Although most of his production didn't received as much success as his own films,you have admit that the man has added a special touch to these films. Produced by John Woo shortly before coming over to Hollywood, this heart-warming drama is definitely one of John Woo best production. Someone Up There Likes Me stars Hong Kong heart-throb Aaron Kwok as a young inspiring boxer who faces tough challenges in the world of boxing. He falls in love with his opponent's younger sister but ends up accidentally killing her brother during a boxing match. Aaron gives one of his best performance to date in this film and the supporting cast is pretty good too, notably Samo Hung, an ex-boxer who becomes a mentor to Aaron. John Woo's trademarks are hardly visible in this film but Woo probably help choreographed the excellent boxing sequences in this film. 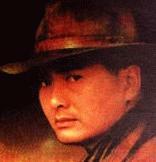 In 1995,John Woo help produced Chow Yun-Fat last film in Hong Kong, entitled Peace Hotel. 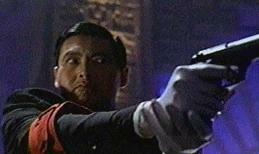 Chow plays "King of Killers", who sets up a hotel called Peace Hotel where anyone within the premise would be protected from whatever danger that they are running from and peace is restored. Chow soon faces a dilemma when one of the occupant starts causing trouble. Set in a western backdrop, Peace Hotel is one of the most stylish films to come out of Hong Kong, which is no surprise if one is familiar with John Woo's style of film-making. Peace Hotel received moderate success in Hong Kong, mainly because the audiences were expecting more from Chow's swansong to Hong Kong. It's actually quite different from what Yun-Fat made with John Woo, so those who were expecting the same stuff as in The Killer and others were most probably were disappointed. 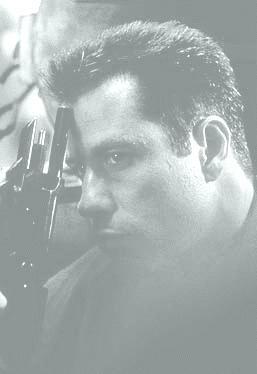 Probably the weakest of the lot, The Replacement Killers just can't match the rest of the film whether it's in terms of action or storyline. The Replacement Killers is Chow Yun-Fat's Hollywood debut with the veteran actor playing a similar role to the one in John Woo's The Killer. It's not to say that The Replacement Killers is a very BAD film, but the film really doesn't have anything new to showcase to the audiences, mainly John Woo/Chow Yun-Fat Asian fans who are familiar with their previous works. Actor Chow Yun-Fat once said in an interview that "The Replacement Killers is actually old wine in a new bottle". While most Woo/Chow are anxiously waiting for the project King's Ransom to kick off, do check out Chow's latest film The Corruptor set for release really soon. The latest in line of John Woo's production, The Big Hit was directed by another Hong Kong, Kirk Wong. It's hard to judge Kirk Wong's talents from The Big Hit ( and I haven't seen his other films either) especially when The Big Hit looked more like a John Woo picture than a Kirk Wong film. The Big Hit is an action/comedy which centres around his hitman, Melvin Smiley and the people in his life.I like The Big Hit because it provides a unique look at a hitman's life, as well as his life after his day-time job. The shoot-outs are well-chereographed and the fight sequences at the end are pretty impressive as well. Monthly John Woo Poll Which of the following John Woo-production do you like best?